Why not come join in the fun instead ;) 2zr's are cheap as chips in Straya. Yeah I been doing my research. I have an 07 but wasn’t keen on chasing the XD parts. But am contemplating getting a 2012 and going the same route as you. Shouldn't make a difference if it's 2007 or 2012. You'll have to chase the exact same parts. You should be able to procure those through US Ebay sellers if keen enough. The Toyota IST and the NZ market is always another source of parts. The 3rd Generation Toyota IST is the same car as the Scion XD. It just never came out as a manual in Japan, but the driveshafts in the 2zr version are the same as the manual Scion XD, and in theory the airbox should fit as well. Just be aware that the IST came out with a 1nz as well and you aren't going to want the parts from that variant. Might start pricing parts up. I really wanted to keep the corolla box over the Yaris 5 speed due to my daily m7 run. Yeah fair enough. Being up front about costs, you're looking at the best part of $1000 for all the required brackets and isolators. 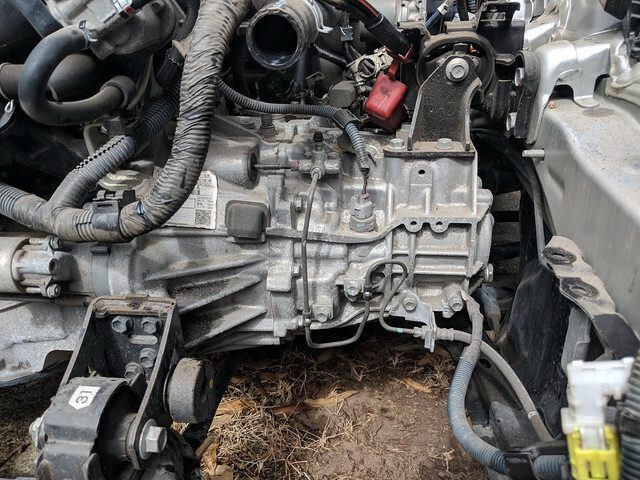 Or you can go down the route that others have and only swap the engine side bracket over and keep your C54 (assuming the AU version bolts up). The immobilser concerns me as well, but I take some solace in what Adam did to register his ECU to the immobiliser ECU. There's clear instructions on how to do it, and it sounds fairly logical. Disc brake rear end is never happening I'm sorry unless you import the rear end from Japan at an unearthly cost :( We never got any Yaris or equiv chassis with a disc brake rear end I'm afraid. I think its just one of those things.... Some will have avenues of making it happen... Some won't. So you're telling me that your Yaris ZR, which looks exactly like our Yaris SE, has drum brakes? Interesting as our SE has discs. Yup! The bean counters here in Aus Toyota must have decided it wasn't worth it :(. The ZR has been the top of the line model since the first Gen 3 came out, and it's never had a disc brake rear end. 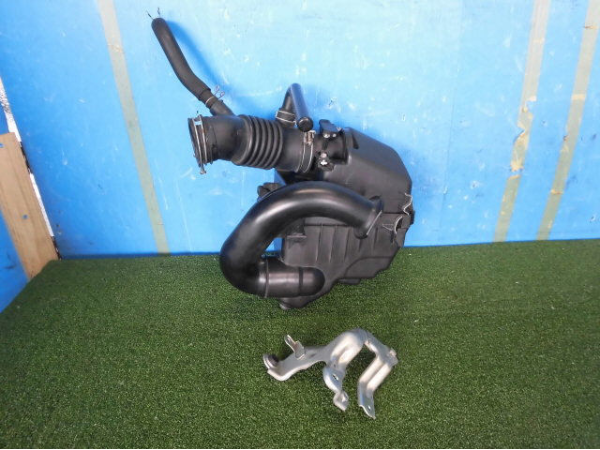 Airbox has been purchased and is coming from a Toyota IST in Japan. Lucky enough to have all the pipe work and even an airflow meter (getting swapped out anyway). Pretty much just the drive shafts left now to source, and a few odds and ends from Toyota. Last edited by stidnam; 01-25-2019 at 07:33 AM. Well after a full days work on Friday, the donor Corolla is now stripped and engine is out. The engine pull was rather easy - no engine lifter needed. Just jacked the car up, then lowered the front back down just enough to rest the engine on a dolly, unbolted the mounts and wheeled it out :). I've had a better look at the EC60 gearbox. The casing is a lot shorter than that of the C60, and based on what I can see, all the Yaris mounts I've purchased should bolt up. I actually need to check if the factory ZRE152 corolla side mount already fits. Doubt it, but I'll do a side by side comparison. I'd love to be able to run that front mount as well on the Yaris. Ashame there's no provision for it. I also checked the spline count on the drive shaft. I can confirm that it has 20 splines, further adding to my confidence that XD shafts will work with this gearbox. I'm now going to take a punt and just buy a set out of the US. I don't expect anyone to believe that all of this will bolt straight in and clear everything until it's done. Regarding that point, I'm now contemplating the purchase of a written off Yaris to strip as well as test fit everything and get the exhaust and wiring all sorted for a full plug and play experience. Looks like the clutch lines fit as well? Or is that still in the donor? 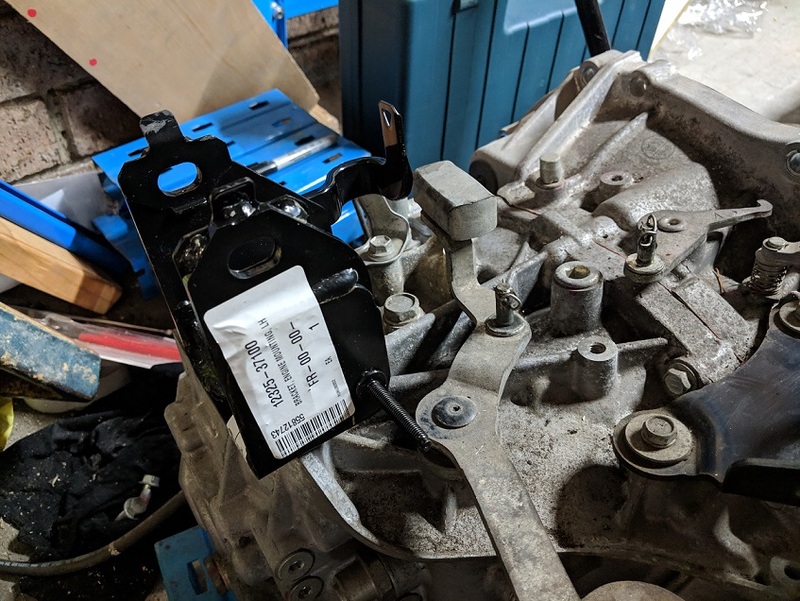 I can confirm the lower gearbox bracket for the Scion XD bolts to the bottom of the EC60 gearbox and all mounting holes are threaded on my EC60. The GRMN side gearbox bracket also bolts to the EC60. This bracket is significantly different to the one for the ZRE152 chassis, as expected. 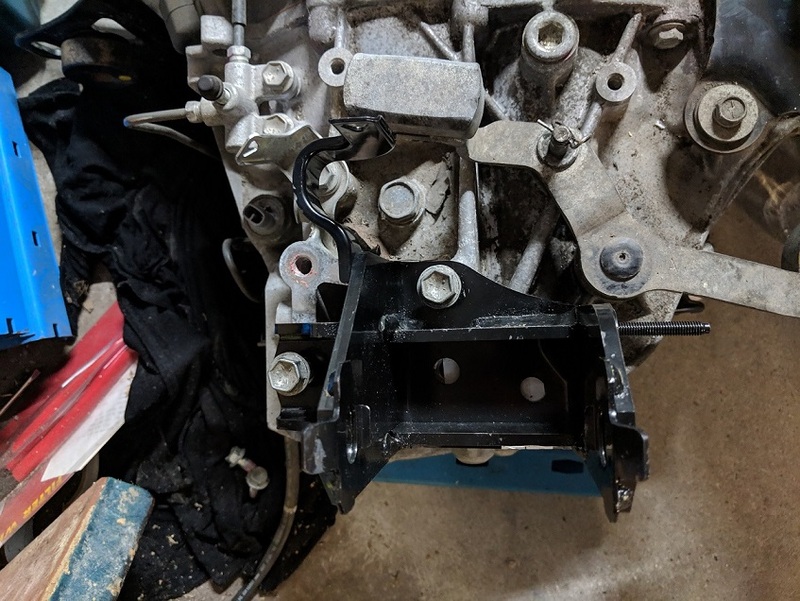 Unfortunately though, it would seem that this bracket comes with small tab on the side that looks like it's used to clip a wiring loom on, and this fouls with the counter weight (?) on the shifter assembly. Guess I'll either bend it or chop it off all together pending actual installation. There's already a bracket on the gearbox to support the wiring loom that goes to the speed sensor. Just a quick update on a couple of things. I ordered left and right Scion XD drive shafts from the US, which turned up today. Unfortunately the wrecker either didn't inspect them correctly or didn't pack them well enough as the front right has a nice slit in the boot and was oozing CV grease all through the package. Anyway, I took the right hand shaft down to the drive shaft shop and we went hunting through what they had in stock that matched the same specs as the XD shaft. I had already done some research and had a pretty good idea. We ended up confirming that a ZZE122 2006 model Corolla was a perfect match (spline counts, shaft length, seal surface etc all seem to match). Based on my research, the left hand shaft is a match as well in length. It would have been nice to know this from the start, but hopefully it's good news for anyone doing the conversion here in Aus and wanting local options for drive shafts. Overall good news on this front as well, but I fear I may have wasted some money in the meantime trying to work out my options. I ordered some shifter cables from a UK Yaris running a 1nr and EC60 combo. Total punt in hopes they fit. I received them the other week and have taken measurements against the Scion IM/Corolla cables I have. The bad news is I don't think they'll fit. I believe the 1nr/EC60 combo from the UK Yaris sits about 20 - 30mm closer to the firewall than what the 2zr/EC60 combo does. Unfortunately, the Scion IM/Corolla shift cables are around 70mm longer than the 1nr/EC60 combo and it's likely they'll just be excessively long. To top it all off, the 1nr/EC60 cables don't latch into the shifter cage in the same way the Scion/Corolla cables do. If the 1nr/EC60 cables end up fitting, they'll most likely require me to buy the Euro spec shifter cage as well to properly secure them. The good news is I found a company here in Sydney Australia who are able to make me up brand new shifter cables for around 200 AUD. That should enable me to supply them with the plate that seals the cables to the floor, and I should end up with cables that fit perfectly. Not long until there's no reason not to start pulling everything apart! Was just thinking about this recently! Good to hear you're making headway. Ya, the salt use on the roads here makes wrenching more ... awesome? Too bad about the buggered CV boot, but glad you got it sorted; and found an alternate source for the one side! Looking forward to seeing how you make out as you get everything installed. The ebay seller was really good about the shaft and refunded me the cost of that shaft. The refund will cover a reconditioned zze122 shaft, so no loss. Might even get the boot replaced on this shaft and keep it as a spare. Kind of erks me putting in shafts that look all rusty even though no one ever sees them. I can say with good certainty that the factory 1nz/C50 shifter cables will be totally useless. The shifter setup on the C series gearboxes is completely different. I'm fairly confident I'll need custom at this point. The only other car that might have any remote chance of donating its shifter cables is a manual C-HR. Too much effort to try and find one being wrecked to even check. Adam, as you point out, all this is just the cost of research right. I'm hoping it helps someone else out at the end of the day. I feel your pain on the research costs. I bought 4 different C5x gearboxes when I was figuring out gear ratio swaps and which LSD goes in. I somehow bought the wrong LSD and had to pay a 25% restock fee. Ouch! Really excited to see things moving along on this!